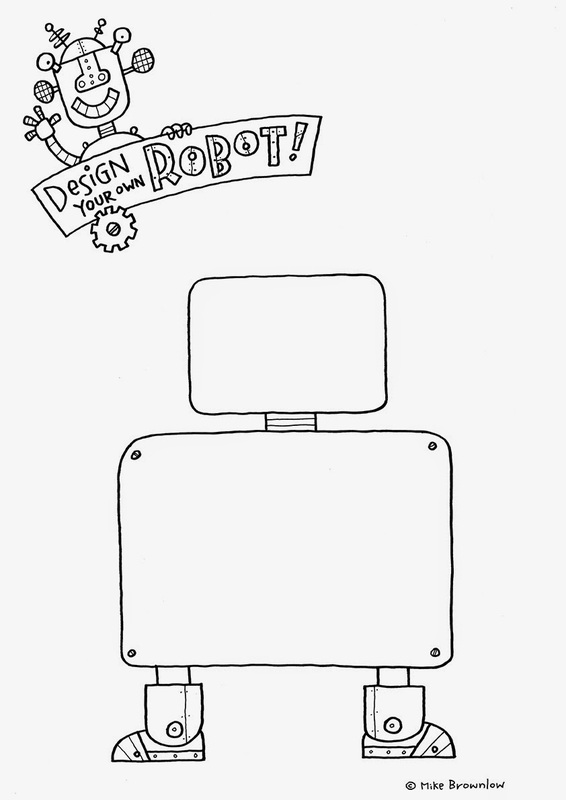 Robots have been filling out Christmas stockings since Santa made his first ride, so as the festive season draws near lets connect the circuits and open the lid on the mechanics of drawing our metal friends. And who better to lay down the nuts and bolts than robot supremo Mike Brownlow. Don't touch that dial! I love robots. 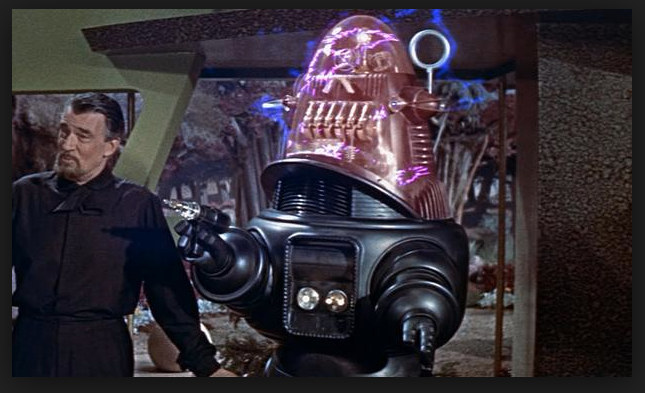 Robots have figured prominently in science fiction for a long time, and were a vivid part of my childhood. 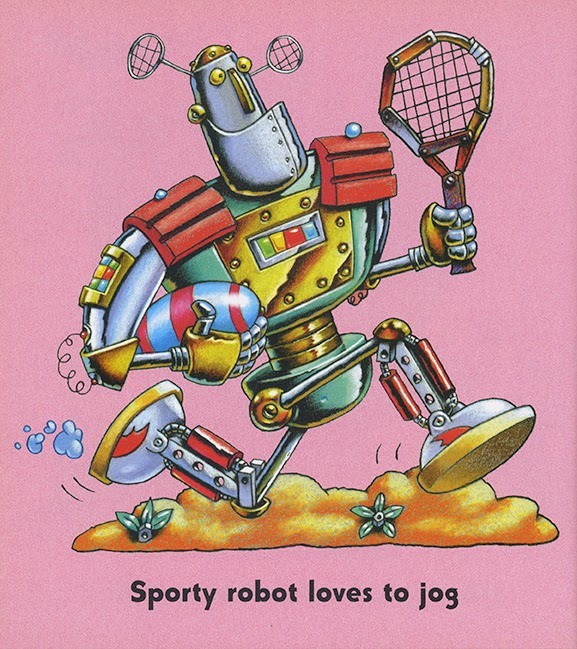 I had robot toys and read robot comics. 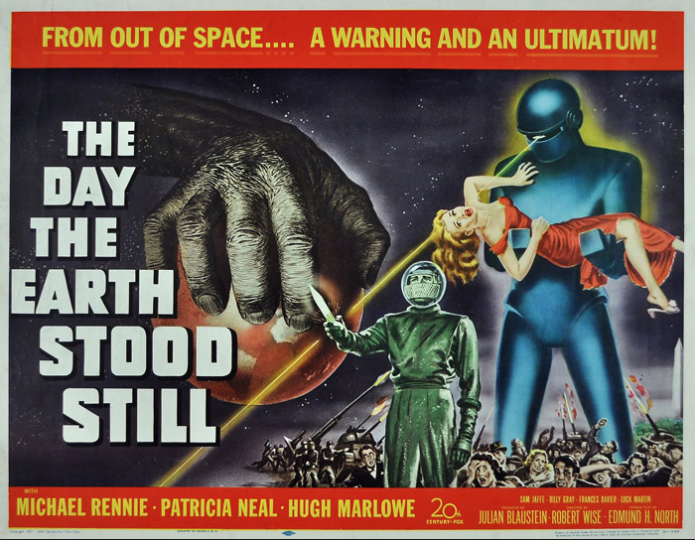 Films like The Day the Earth Stood Still, West World, Metropolis and Forbidden Planet all left their mark on me. So it’s little wonder that I’ve drawn and painted loads of the things over the years, little and large. 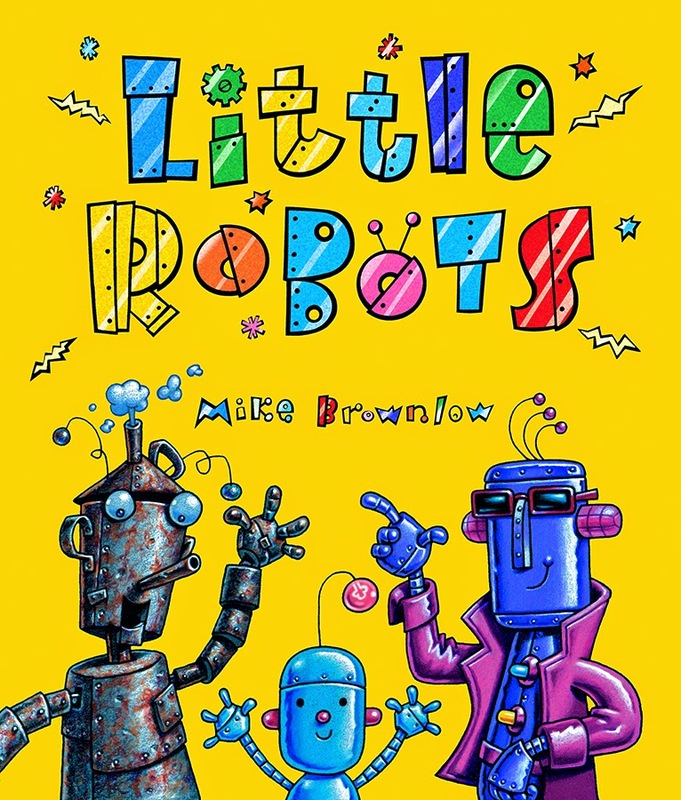 When I came up with the idea for Little Robots back in the late ‘90s, it was partly because robots had never, to my knowledge, been featured as the heroes of children’s picture books, let alone a TV series. I felt as though I had a blank canvas to play with. 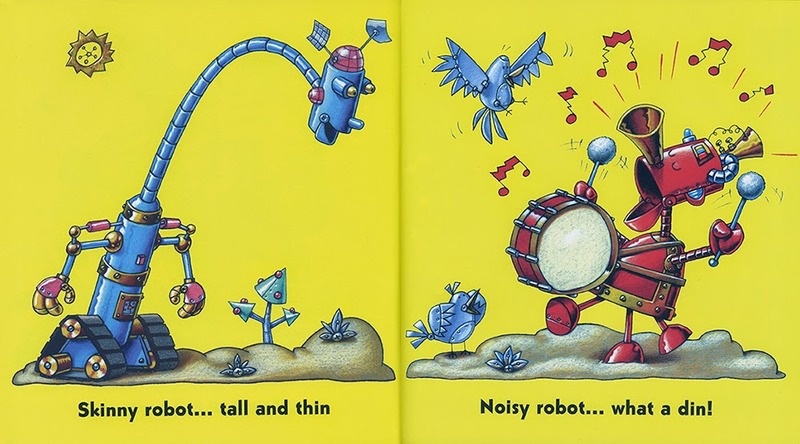 The robots I finally decided on were a mixed bunch – short and tall, round and skinny, loud and shy, fast and slow. And that’s the joy of it. 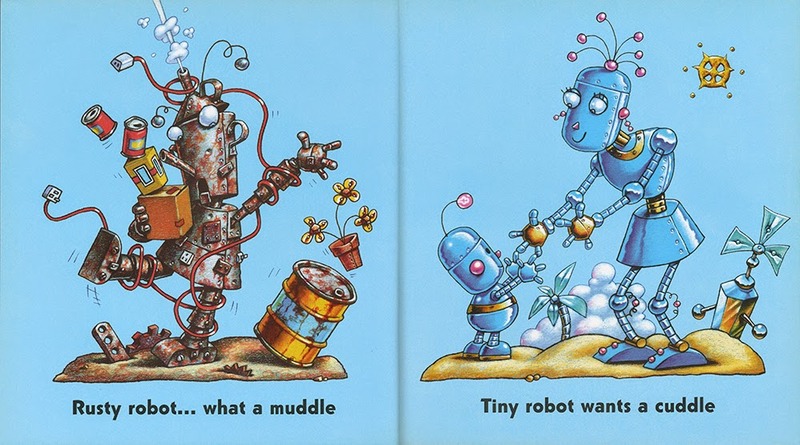 Robots, frankly, can be anything you want them to be – as complicated as the Terminator, or as simple as Tiny. If you take the simple approach, they can be easy to draw because you need only work with the most basic of shapes. Bodies can be boxes. Arms and legs don’t have to be complicated things with joints and muscles, they can be metal tubes, like those of Bender in Futurama. Robots can have two legs or three or more; they can have wheels or tracks or jets to fly with. Their hands can be simple pincers or suckers like those of the Daleks. Their faces need consist of nothing more than circles, triangles and rectangles. Stick a few rivets on the body and you’re done. • Faces. 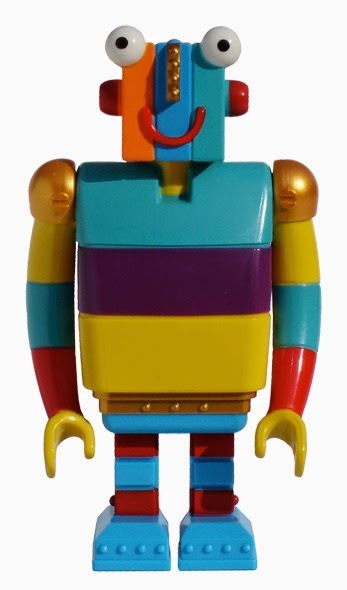 If you’re dealing with small children you’ll have to invest your robot with some personality. Immobile and expressionless robot faces like those of the Cybermen (for me, always far scarier than the Daleks! ), are really creepy. Logically, robot faces won’t naturally have any mobility, as they’ll be made of metal, so you’ll have to cheat like crazy to enable them to show emotion. 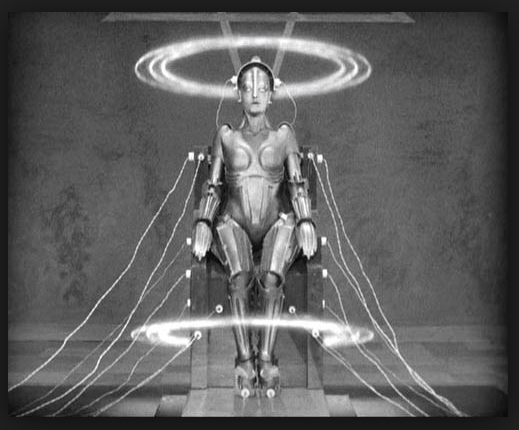 I tried to think of a robot face as being made up of cogs, hinges and widgets that moved about in a mechanical way. It was easier to imagine them being animated that way. Alternatively, I’ve created robot faces made from a TV screen before now, so that a variety of expressions could be shown in a plausible way. 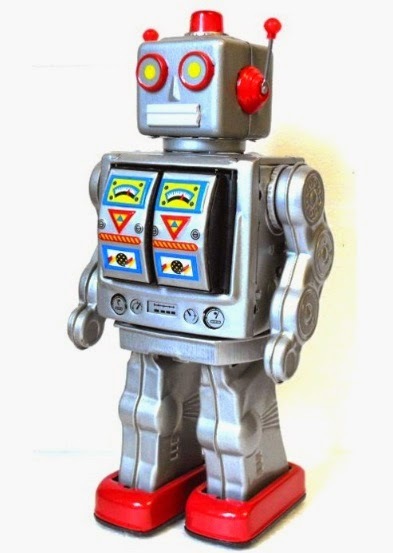 • Think of other mechanical devices that might be used on your robot to emphasis its metallic nature – TV dishes instead of ears; telescopes for eyes; springs and shock absorbers for the arms and legs; rivets and screws; pressure gauges and flashing lights. • Creating your robot’s world. A good exercise is to go into a typical garden shed, DIY toolbox or an ordinary kitchen for that matter, look at all the gadgets you can see and, (with the appropriate permission!) 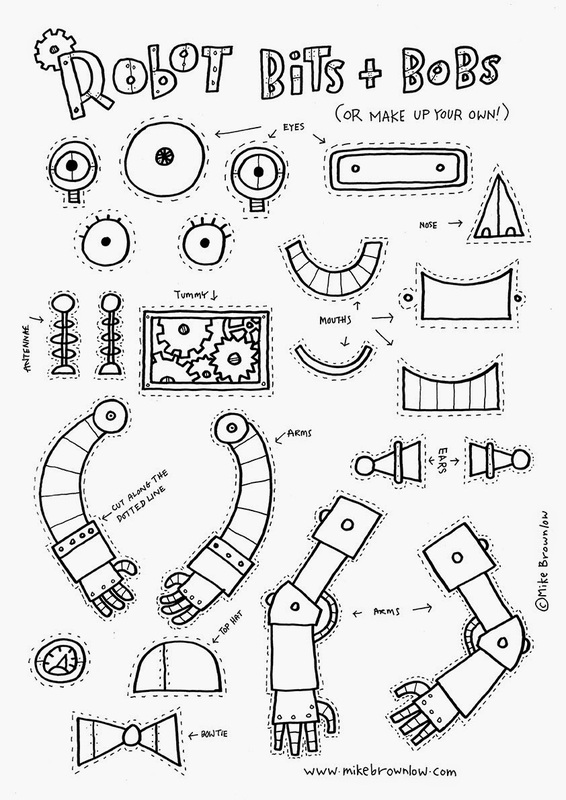 try assembling some of the objects into a mechanical creature. 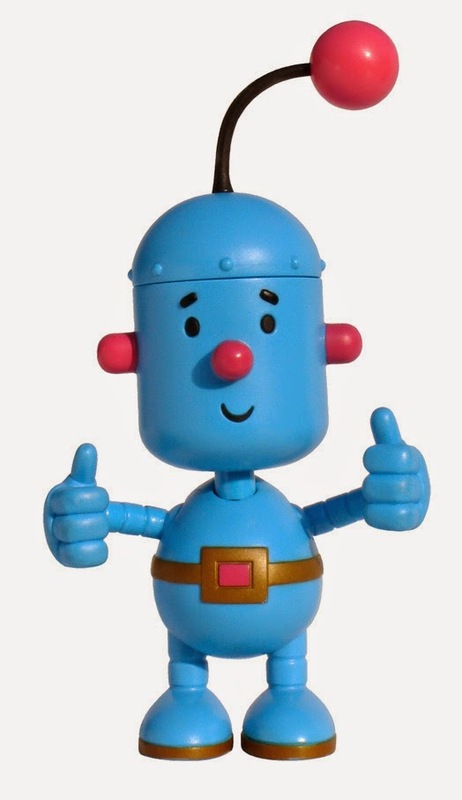 Similarly, if you want to create an unusual, mechanistic environment, try taking old pots, pans, cans, perfume bottles, widgets and doo-hickys from your cupboards, and assemble them into something resembling a townscape. Turn some of the bits and bobs upside down or sideways, and you’ll find unusual shapes reveal themselves. Draw the shapes and embellish them until they become your own robo-town. Reclamation yards and antiques fairs are other wonderful places to come across strange and unconsidered objects. Victorian mangles, old hoovers, spare parts from 1950’s cars, sci-fi memorabilia – there’s a world of inspiration waiting there for you! 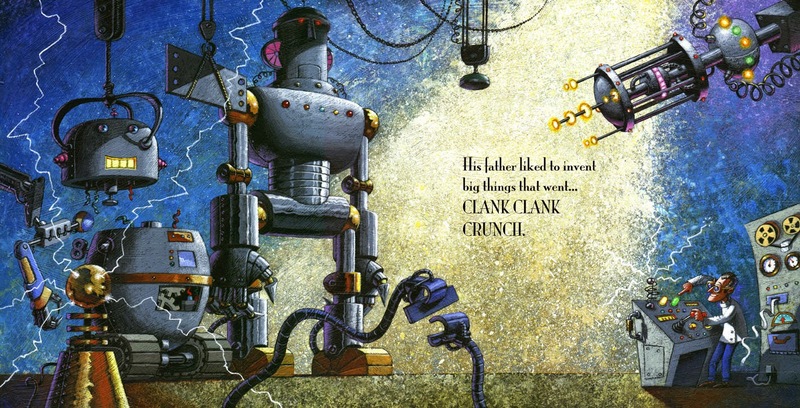 • I wanted to give my robots a variety of finishes to make each stand out from the other so, for example, some had a shiny appearance, some had a rusty look. As an experiment, try drawing a rusty piece of metal, then a reflective piece of metal like a car bonnet. It’s a tough visual problem but you’ll learn a lot about observation. • At some point you’ll have to decide how your robot is going to move around. 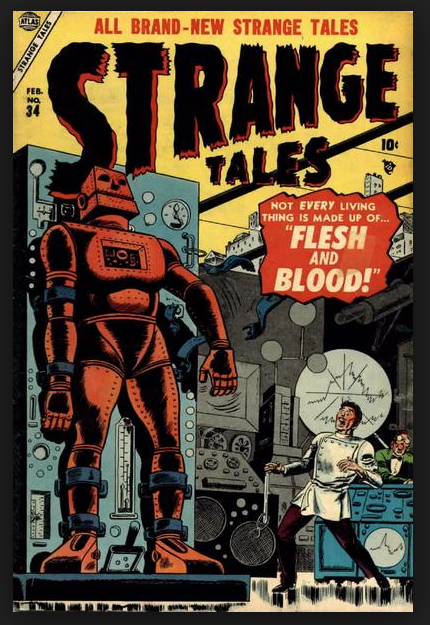 Some sort of logic, however warped, has to be applied, so if your robot has arms that hinge, try to consider the nature of the joints and whether they appear practical. What powers the limbs? How do they twist and turn? Consider the movement of the jaw, and the flex of the foot, and the way your robot collects information from the world. The best characters have a back story, and in this case that should include how they convincingly move through their world. Finally, school visits. When I go into schools I’ll often do How-To-Draw sessions with the children, but I’ll also take various printed sheets, such as the two shown here, that can be photocopied for use in class after I’ve given my talks. It’s an easy way for teachers to do follow-up work with the children. If they’re too young to do creative writing or drawing, many of them like to take these sheets and colour them in, cut them out and stick the bits together. I encourage them to use the sheets as a starting point, and to go on to make their own robots, which often results in some spectacular results! Why not try something similar? Recently Mike was Words & Pictures' featured illustrator. He is an active member of SCBWI and lives in Somerset. Wonderful inspiring stuff Mike. It'll drive me back to my sketchbooks to work more on some of my characters. But what are doo-hicky's, are they like Yorkshire bits and bobs? That's right Paul. 'Doo-hickys' translates into Yorkshire as 'bits and bobs'. On the other side of the Pennines, where I was born, they're also know as odds and sods.